Glory be to God! Lord Jesus, we have learn how important it is to pray. We truly believe that prayer do changes things. You told us to pray at all times, You said, “a man ought to always pray.” Thank You for sharing with us how important it is to pray, and thank You for demonstrating it for us while here on this earth. You prayed to Your heavenly Father all the time. Make us prayer warriors who pray wherever we are. Put a prayer in our hearts to pray to the Father always, and in our heart to love to pray always. Help us to be diligent in our prayer life; David prayed always and had a heart after Your heavenly Father. Father God, grant us the prayer to pray always. That pray includes “The Lord bless thee, and keep thee; the Lord make His face to shine upon thee; and be gracious unto thee; The Lord lift up His countenance upon thee, and give thee peace; Your name is upon the children of Israel; and You have blessed them, and us through Your Son Jesus Christ our Lord and Savior, AMEN. David, the shepherd, psalmist and king of the Old Testament, is the author of this remarkable declaration. In it he reveals the secret to a consistent, energized prayer life. The secret is contained in his use of the word “order” to describe the manner in which he prays. There is something compelling about the way David ordered or arranged his prayer time that drew him back again and again with genuine expectancy. That coupled with his enjoyment of God’s presence led him to make a commitment to daily take his place before God to watch and pray. Order is one of the first principles instituted by God at creation. It is a means by which God initiates and establishes His purposes in the earth. Most notably we see it in His creation of day and night, seed time and harvest, and His institution through the Sinai covenant of the tabernacle, system of sacrifices and prescribed approach of the High Priest into the Holy of Holies. Given the thoughtful and logical way in which things can be ordered, what then does it mean to order one’s prayer life? I believe the ordering of David’s prayer had to do with his choice of key elements of prayer and an intentional arrangement of their sequence to bring him into the presence of God. From a study of his life we can identify at least five things that David did when he prayed that illustrate this intentional arrangement of his prayer time to insure its vibrancy. In order to experience an unfettered and rejuvenating time of prayer it is contingent that we make a point of laying all of our sins and burdens at the foot of the cross of Jesus. That secures a freedom from distraction and instills a confidence to proceed in prayer as the Holy Spirit leads. These five ingredients that David used in ordering his prayer are by no means exhaustive. But in the whole scheme of things I am of the deepest conviction that when all five are incorporated into a person’s daily prayer time, they like David will have a sustainable consistent, energized prayer life. I can personally testify that by God’s grace, my commitment over the past year to ordering my daily prayer time using these five keys has reenergized my prayer life and relationship with Him. 1). Incense is often associated with what in the Bible? 3). How often should we approach God’s presence? 4). Describe the word “order” in the Bible. 5). Given the thoughtful and logical way in which things can be ordered, what then does it mean to order one’s prayer life? 6). 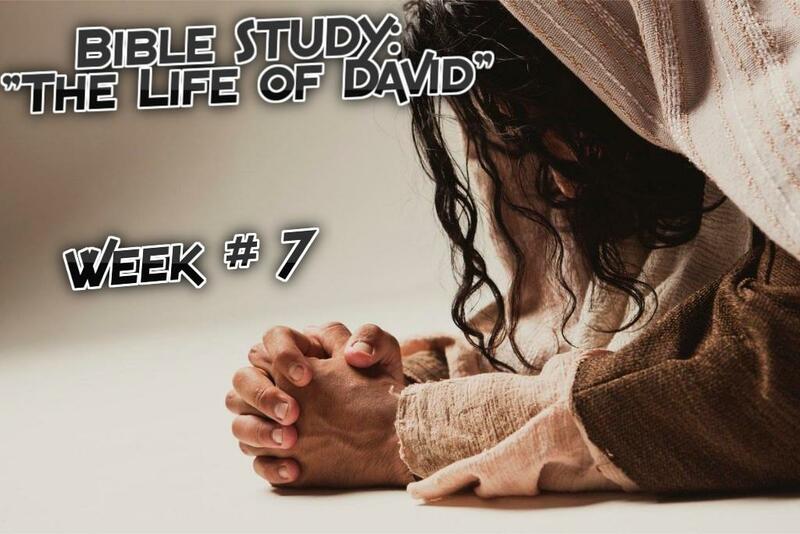 Name the five things David did when he prayed that illustrated his prayer life. 7). What do praise and thanksgiving means to you? 8). Do you acknowledge your dependence upon God? 9). Do you confess God’s promises when you pray? 10). Do you respond to the leading of the Holy Spirit in your prayer life? 11). Name some of the types and foci of prayers in the Psalms. 12). What does (Ephesians 6:18) says about prayer?